On Friday, President Trump’s Department of Health and Human Services announced it would be updating the Title X regulation framework to better enforce the letter of the law, which outlaws federal funding for abortion, and to ensure that federal family planning dollars do not go to facilities that perform abortion. This new framework is based largely on President Reagan’s similar Title X regulation in 1988, which was challenged in court but eventually upheld by the Supreme Court in Rust v. Sullivan. However, up to now, the framework has never truly been enforced. President Clinton quickly ditched it as soon as he took office, allowing abortion providers to play a shell game which gave them access to federal funds. President George W. Bush, despite his supposed pro-life bonafides, allowed the illegality to continue. And President Obama actually worsened matters by stripping states of their ability to defund abortion providers, a radical move which Congress overturned last year. But now, President Trump is returning to the Reagan playbook. The federal government will finally enforce the law as written and prevent federal funds from going directly to abortion providers -- instead, this money will go to family planning facilities that do not perform abortions. This is a significant moment for the pro-life movement. The effort to prevent Title X family planning funds from going to abortion predates the 1988 Reagan regulation. It began with an amendment to a 1985 appropriations bill, introduced by Rep. Jack Kemp and Sen. Orrin Hatch, that outlined the policy Reagan would later use in his executive order to restrict these funds from going toward abortion. Now, 33 years after he first introduced his amendment, Jack Kemp’s pro-life dream will finally be realized. Its fulfilment is another testament to the lasting impact that Kemp has had on the Republican Party. Most people associate Kemp -- and rightly so -- with the Republican Party’s focus on cutting taxes as a way of spurring the economy, but his vision was much greater than this. The one consistent theme across all of Kemp’s proposed policies was prioritizing the real needs of working families. Kemp sought to cut taxes because he believed that high taxes were preventing these families from achieving prosperity. Kemp rarely, if ever, discussed tax policy in any context without referring to its effect on entrepreneurs and, more importantly, the lives of ordinary people -- particularly how it impacted the livelihood of families, including the additional work hours that robbed children of time with their parents. Moving forward, the Republican Party needs to understand not only the great legislative legacy of Jack Kemp, but also the context in which he always placed these issues. Kemp was always a great spokesman for the fundamental unity that makes us all Americans. He saw the rights of every individual -- regardless of race, class, or state in life -- as critical, and fought to preserve those rights. He also realized that America’s greatness resides fundamentally in its families, and he fought to ensure every American’s rights were defended within the context of the family. Amid our present era’s political realignment, Kemp’s legacy as a defender of both individual rights and the importance of the family ought to be seen as a model for future Republican policymaking. Donald Trump has brought back Kemp’s focus on ordinary Americans and mainstreamed it within the Republican Party. His newly announced Title X regulations reflect a strong respect for the importance of the individual and the position of defending life within that context. As the party enters into the 2018 midterms and moves forward toward the 2020 elections, the theme of the dignity of every human life and the importance of the family needs to be front and center. 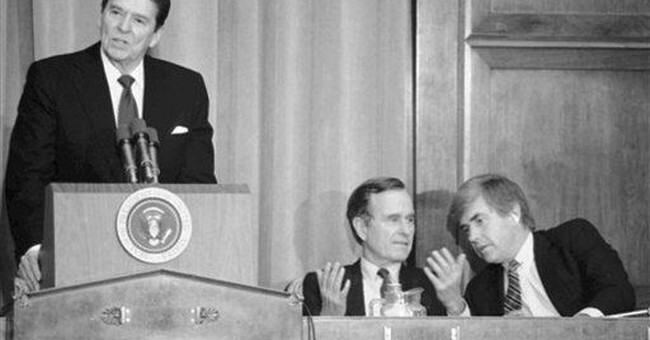 Jack Kemp was a towering figure in conservative politics in the 20th century. His ideas -- and his compassion for people -- are still very much needed today.